CONCACAF announced Wednesday the addition of two key positions to the Development Department with an eye on strengthening efforts to grow the game across the region. The Confederation named Jason Roberts as Director of Development, and Etienne Siliee as Development Manager of the Caribbean. In his new role, Mr Roberts will focus on managing and strengthening the Confederation’s core development programs including grassroots, coaching education, and professional football development initiatives. He will be based in Miami, Florida and report to the Chief of Football Officer Manolo Zubiria. Mr Siliee, a former Curaçao Football Federation (FFK) technical director and national team head coach, will report to Mr. Roberts and will be responsible for the development, implementation and overall oversight of all coaching education platforms within the Caribbean, which include, but is not limited to, The Train the Trainers program, License Curriculum Development and Technical Development Director’s capacitation program. Mr Roberts is a current member of the FIFA Players’ Status Committee and is a graduate of the UEFA MIP Executive Course designed for former international players to achieve professional excellence in football administration. 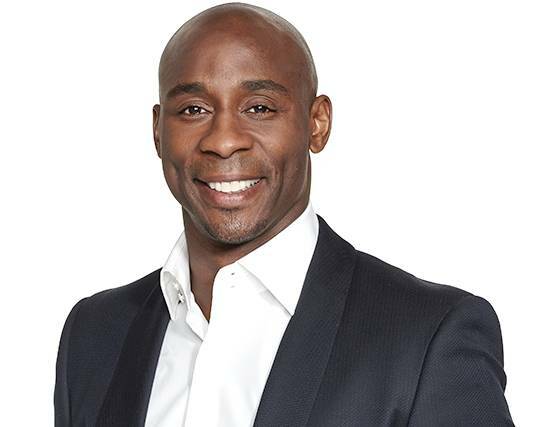 The former professional footballer established the Jason Roberts Foundation (JRF) in 2007, as a charitable organization that provides young people opportunities to learn and build confidence through sport in both the UK and the Caribbean. Mr Roberts is a respected football pundit in both the United Kingdom and the Caribbean. He represented Grenada at the international level, starting his career at Hayes FC and eventually going on to play in the English Premier League with West Bromwich Albion, Portsmouth Wigan Athletic, Blackburn and Reading. He retired from professional football in 2014. In the 2010 New Year Honours list, Mr Roberts was appointed a Member of the Order of the British Empire (MBE) for his services to sport in Grenada and London, and, in May 2016, he received an Honorary Doctorate from St. George’s University in Grenada. This was in recognition of his outstanding contributions to the provision of sporting events for disabled children in both Grenada and the UK. Mr Siliee is passionate about sport and football development. He is a CONCACAF coaching license instructor, who has served in different roles as policy maker and manager in sports as well as youth welfare. Mr Siliee was head coach of several Curaçao top division teams and is an active instructor that has shared his knowledge in international education programs held in the Caribbean, Middle East, and South America. Mr Siliee holds a master’s degree in business administration from the Colorado University and the University of the Netherlands Antilles. He is based in Willemstad, Curaçao. As part of these additions to the team, CONCACAF has reorganized its Development Department into two focus areas led by Mr Roberts: Professional Football Development and Technical Development. The Professional Football Development area will manage club licensing implementation, league development initiatives and the division’s benchmarking program. The Technical Development team will oversee all coaching education programs, grassroots initiatives, as well as Technical Development Director training. As part of the commitment to establish a fully integrated Confederation, CONCACAF is investing in administration, competitions and development programs throughout North America, Central America and the Caribbean in order to further grow the sport and empower its 41 member nations. The organization is expanding resources across the region to work closely on initiatives that raise the game’s level, while increasing opportunities for players, coaches, and administrators.